CHESS/PLENUM/FULFILL provides powerful control of aphids and whiteflies (vegetables, potatoes, stone fruits and ornamentals) and of hoppers (rice and mangos). It delivers immediate crop protection through permanent inhibition of feeding. By Royal Brinkman International BV based in Gravenzande, NETHERLANDS. Our self-limiting technology provides an environmentally-responsible method of controlling insect pests that damage crops. By Oxitec Ltd based in Abingdon, UNITED KINGDOM. 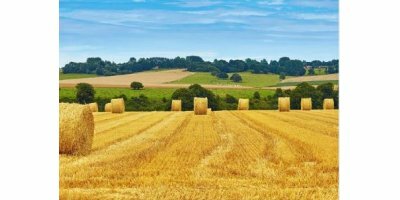 An integrated package which includes micro climate/disease weather stations and weather forecasts, disease modelling as well as preventative and remedial crop protection recommendations based on real-time climatic measurement, modelling and forecasting. By Cropsystems based in SOUTH AFRICA. 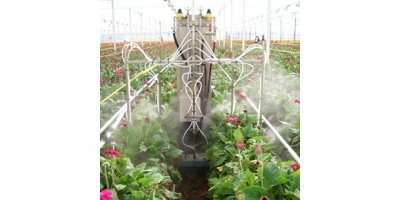 The compact UF mounted sprayer, with tank capacities from 900 to 1,800 litres, is characterised by its strong, robust construction yet lightweight design. With a choice of Q-Plus, Super-S1 or Super-S2 booms, and in boom widths from 12 to 30 m, the UF is a machine that caters for a wide ranging size of farm. PROUD 3 is an organic listed crop protection product. It is a safe and effective, foliar applied insecticide, miticide and fungicide. The mode of action is as a contact killer. As an insecticide, it works best on soft bodied insects or on the juveniles. Agriculture is constantly facing new challenges: rising production costs, higher standards of environmental protection, and the need to feed a growing world population. 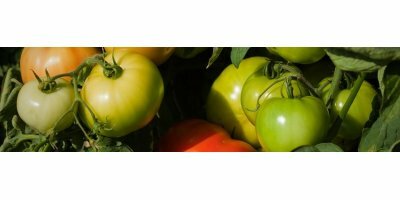 PROMAX is an organic listed crop protection product. It is a protective and curative pesticide recommended for control of plant parasitic nematodes and soil borne diseases. The mode of action is as a contact killer. For best results, always apply HUMA GRO® ZAP® as part of a long-term soil disease and nematode solution. Helps Crop Protection Spray Hit Target. Corral Poly is an effective non-ionic drift-control agent and deposition coverage aid that helps crop protection products remain in target areas. Effective and easy to use, Corral Poly is compatible with most water-soluble and wettable-powder crop protection products, desiccants and cotton defoliants. Sustainable Soil Fertility, Ultra Efficient Crop Nutrition, Optimal Hormone Management, Zero Residue Crop Protection. Vineyards can be protected in a number of ways depending on the individual needs of the grower. 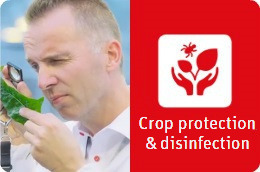 We offer solutions for crop protection with a variety of products and methods. G3 Applicator systems provide the highest seed dosage accuracy and coverage uniformity to provide the best crop protection in the field. drumMUSTER is the industry-funded national program for the collection and recycling of empty, pre-cleaned, crop protection and animal health chemical containers. By Sudau Agro GmbH based in Erding, GERMANY. The GSG over-row fan sprayers are a new range in the field of plant protection. They are fitted with hydraulically driven cross-current fans. With the 2, 3 and 4-row machines, a new configuration of the fans and a recycling system mean that up to 40% less crop protection agent is used in the course of the season.